After several months of preparation, the big day is coming up for 10 special students. These students are set to receive the sacrament of Confirmation, and for some, Eucharist as well, on April 15, 2018. The Le Moyne Confirmation program and the Rite of Christian Initiation of Adults, or RCIA, have been ongoing programs in the school for several years. Sister Ann Kenyon is the program’s leader and has been since she first came to Le Moyne a year and a half ago. Every Sunday evening since the fall semester, the students seeking Confirmation have been meeting from 5-6:45pm for class, taught by Sr. Ann. 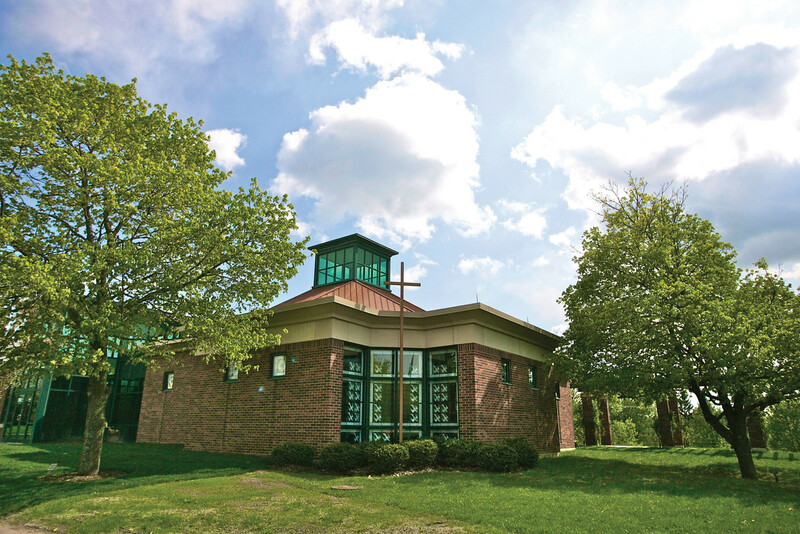 After class, the students attend mass in the chapel from 7-8pm. The class’s intent is to teach the students about the basis of their faith and to make sure they are prepared to enter the church with a mind full of knowledge. The Sacraments, Mass, and Catholic social teaching are just a few of the topics discussed throughout the class. During Lent, the students learn how to practice their faith and put their Catholic social teaching into action. Lent is an important time for the students because they are not only getting closer to their Confirmation day, but they begin to fully commit themselves in their journey into the church. In a parish, those receiving Confirmation would normally celebrate the sacrament at the Easter Vigil mass. Since this is a college setting and most students will return home for break, the sacrament is celebrated the following weekend. This year the Confirmation mass will be held two weeks after Easter because of some students’ athletic schedules and prior commitments. Le Moyne sophomore Alexis Nicolosi is a member of the Confirmation class and said she is very much looking forward to being initiated into the church. All the students are required to choose a sponsor, someone who they feel connects them to the church on a deeper level and can help guide them on their journey to Christ. The majority of students chose a family member or close friend whom they look up to. The purpose of the sponsor is for the students to have a mentor that can lead them and remain with them on their long journey. With only a few short weeks left, the students will finish up their classes and become fully involved with their faith and practice. Nine out of the ten students being confirmed attend Le Moyne. The RCIA program is open to any students looking to deepen their Catholic faith.